Welcome to Slick.  Slick is your NEW mobile online booking platform and marketplace. Your NEW Slick smartphone app allows anyone and everyone to FIND your salon, TAP an appointment, and BOOK it online at yours, and their, convenience. You have countless potential clients out there looking for their next salon appointment. Whether it be that they have last minute plans and they need a quick haircut, beard trim, or blow wave, or they're looking for somewhere new to book their next colour or wax... whatever it may be, when you're listed on Slick YOU are their solution. Using the app they'll be able to find your salon (like a light beacon flashing at them), and in a few taps, book their appointment online. Slick is your solution to filling up gaps in your appointment schedule, having loads more new clients walk through those doors, and really getting your salon name out there. Setting up Slick only takes a matter of minutes. All you need to do is add to your Slick account your operators (who clients can book online with) and your services (which are available for clients to book online). To add these items, all you're doing is clicking a few buttons to copy them from your Simple Salon account into your Slick account. To get your salon listed, in your Simple Salon account, click Slick up on the top left corner. Tick I accept the Terms & Conditions, and click GET STARTED. Now you can add in your operators, services and profile pic. Click the article links below and follow the steps. If you have any questions, send them to us by clicking Submit a Request.